We all know that football is a violent sport. It's a game in which large, heavy, athletic dudes strap what is basically plastic armor all over their bodies, then fight over which direction a leather ball is going while smacking the absolute snot out of each other. It's also an emotional (see: testosterone-drenched) game, and in the heat of a crucial play, guys are known to throw caution and self-preservation to the wind and go full speed with little thought to the consequences for their bones, skulls, and internal organs. And certainly without any concern for the other guys' bones. But throughout the history of the NFL, there have been players who take the game's hard-knock philosophy to the extreme, taking the mandate to play "physical" as a license to attempt to actually murder anyone wearing the wrong jersey. You've heard about them; they're the ones TV analysts refer to as the "most feared" players in the league, but their peers often just call them "dirty." Many of these players achieved great success, and some are even legendary, but they all have one thing in common. They are the nastiest, rule-flaunting-est, dirtiest players to ever play in the NFL. 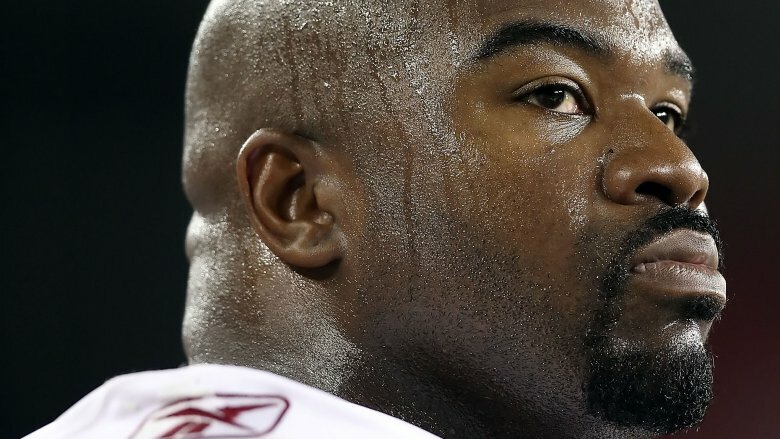 Six-foot-six, 320-pound Tennessee Titans defensive tackle Albert Haynesworth was a scary, scary man. He possessed speed and athleticism to match his massive size, and he was known to use both to push opposing offensive linemen around. According to teammate Kevin Mawae, the tendency wasn't even limited to opponents. Mawae related a story in a radio interview about a mini-camp that spiraled out of control when Haynesworth (in his fifth season) decided to come full-speed at Mawae in his first no-pads drill. "I told him, 'Albert, you need to slow it down because if you don't you're not going to make it out of practice. I promise you you're going to get carted off this field.' And the next play he did it again — came at me, put a hand to my face, knocked me back. Full speed, got no pads on. I said, 'Albert, this is your last time. I gave you a warning.' The next time, I quick flipped him, got him on the ground and said, 'That's it, I'm done.' He didn't come back in practice the rest of the day." But the play that earned Haynesworth his well-deserved rep as a dirty player: his egregious head-stomping and face-kicking of Cowboys lineman Andre Gurode, who was lying defenseless on the ground. The borderline assault earned him a five-game suspension and generated one of the Onion's greatest headlines ever: "Suspended Tackle Albert Haynesworth: 'I Just Wanted To Make Sure The Guy Was Dead.'" Linebacker Bill Romanowski, who won two Super Bowls as a member of the Denver Broncos, was a guy who always seemed to be playing angry. But in his defense, it was probably all the steroids. In an interview with 60 Minutes shortly after his 2003 retirement, he admitted to using steroids and human growth hormone during his career, which explained a lot. Like the time he spit in the face of 49ers receiver J.J. Stokes during a nationally televised game. Or the time he broke the jaw of Panthers quarterback Kerry Collins with an illegal hit in a freaking preseason game. Or the time he full-on punched a teammate during practice, shattering the guy's eye socket. Or the time he kicked Cardinals fullback Larry Centers in the head, or … well, the list just kind of goes on. In 2011, a full decade after "Romocop" played his last down for the Broncos, the Denver Post honored with him with the top spot on its prestigious "All-Dirty Team." 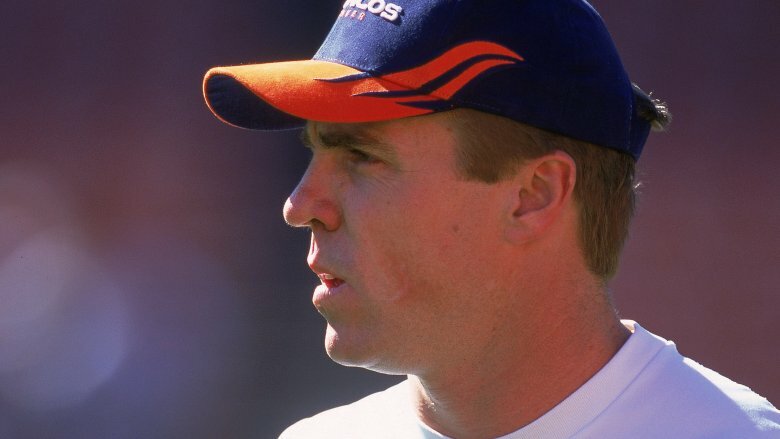 Romanowski was unsurprised, and in fact called it a fair assessment, qualifying it with, "When you're going 150 miles an hour on every play, for 60 minutes, 'Hey, did I cross the line? Absolutely. I was a guy who never wanted to fall below the line." They call him "A Boy Named Suh," and if you've ever heard the famous Johnny Cash tune, then you know that a boy carrying that name might be angry all the time. What you may not have known is that apparently, it also renders you totally unable to hear whistles. Ndamukong Suh, the phenomenally talented defensive end who currently pulverizes QBs in Miami, will tell you this. From his earliest days in the league after being drafted by the Lions, Suh quickly developed a reputation for getting to the quarterback in a hurry — the only problem was, his pass rush was so relentless that he couldn't seem to call it off after the whistle blew. 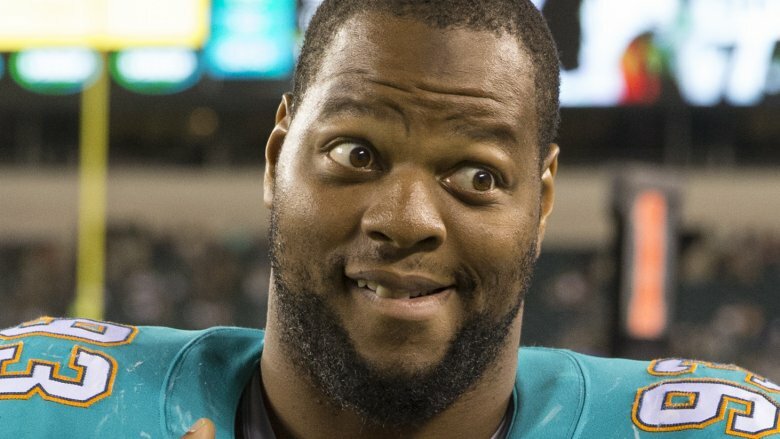 A "brief history" of Suh's transgressions published by CBS Boston in 2015 was a mile long, and that was years ago. QBs aren't his only victims; he's kicked the helmet off then-Washington running back Alfred Morris and performed the ol' stomperoo to the gut of defenseless then-Packers lineman Evan Dietrich-Smith. But signal-callers beware: Jay Cutler, Chad Henne, Matt Schaub, Ryan Fitzpatrick, and Aaron Rodgers have all felt the wrath of Suh long after the whistle, and that's an incomplete list. In 2014, he received the single largest fine for on-field play. He stomped on Rodgers' leg so hard it almost broke, then claimed it was because his feet were numb from the cold — but he wants fans to know he's really a good guy. In 1984, the then-Los Angeles Raiders were coming off an impressive season, culminating in a Super Bowl win. They posted an 11-5 record, good for a return trip to the playoffs — but in a Washington Post profile of the team, they were characterized less as a defending champion and more like a street gang. Tight end Todd Christensen put it this way: "We're a halfway house for wayward players. We've had plenty of people here better suited for jail than games." As if to illustrate his point, defensive end Lyle Alzado piped up with a comment on the previous day's scrimmage, which coach Todd Flores had cut short for fear of the guys on his team killing each other. "That's the way we know we are ready," Alzado said. "What's wrong with fighting? I never knew a man I didn't want to fight." Alzado had been traded from the Browns in 1982 because the organization was convinced he had mental problems. ("They were right," Alzado would later say.) It would come to light years later that Alzado had a steroid problem, which combined with emotional issues to make for a ball of fury who would try to take your head off on every play. He was known as "Darth Raider," a player whose rage had no "off" switch. 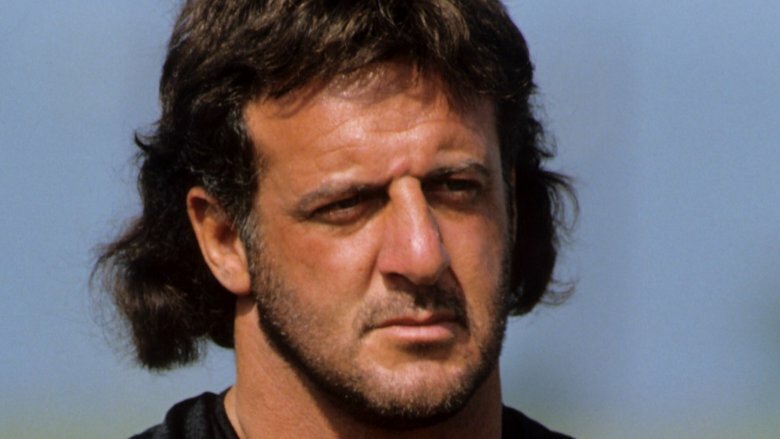 The NFL rule prohibiting the use of a helmet as a weapon is called the "Lyle Alzado rule." On a team known for being … well, the Raiders, he was the Raider-iest. 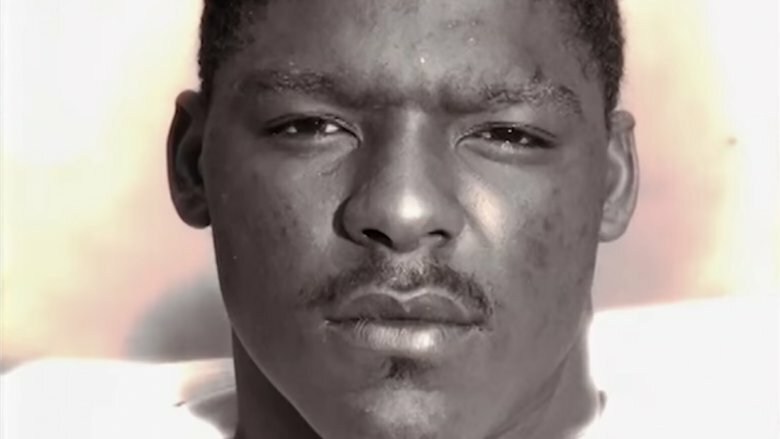 For ten NFL seasons — nine with the Oakland Raiders, and one with the Houston Oilers — free safety Jack Tatum terrorized the league like Michael Myers terrorizes Haddonfield. His nickname was "The Assassin," and whoever gave him the moniker wasn't being cute. Tatum was well-known for being the absolute hardest hitter in football, and there will never be another player like him — because modern-day NFL rules would prohibit virtually every hit he ever made. He was a human wrecking ball, and if a play put you into his path, you were going to get wrecked. The only question was just how hard, and whether you would walk away. You could ask ex-Patriots wide receiver Darryl Stingely, if he were still alive. In a 1978 preseason game, Tatum came over the pile to level the 26-year-old Stingely with an unbelievably brutal — and again, at the time, legal — hit which left the receiver paralyzed from the chest down. Stingely suffered for the rest of his life, which complications from the injury finally ended in 2007. Tatum never spoke to Stingely after the incident, much less apologized, and he remained defensive about the hit until his own death in 2010. In his 1980 memoir They Call Me Assassin, Tatum said, "I like to believe that my best hits border on felonious assault." At least one skipped merrily over that border, then waltzed right on in to Attempted Murdertown. 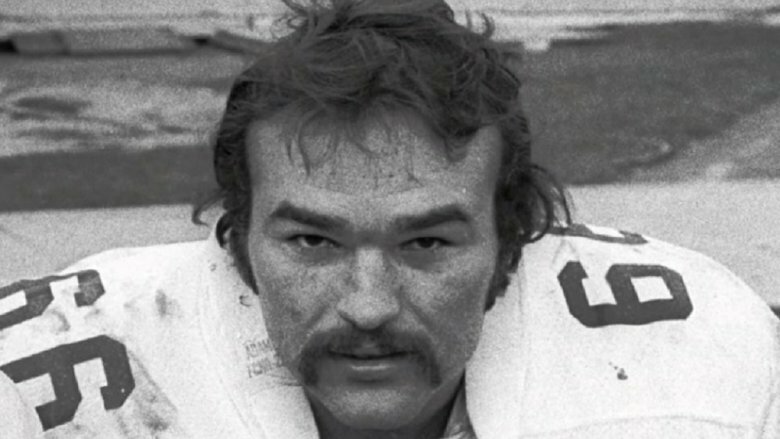 Offensive lineman Conrad Dobler enjoyed a ten-year career with the Cardinals, Saints, and Bills — if one can be said to have enjoyed a decade-long murderous rampage. He wasn't the biggest, strongest, or fastest, so he made up for it by being the meanest, nastiest, and dirtiest. He was known to disorient oncoming defensive linemen by spitting in their faces, then punching them in the solar plexus underneath their pads. Sports Illustrated once named him the dirtiest player in football — on its cover. He was The Conrad Dobler, an absolute menace who tried to get away with every single little infraction he could — and he got away with a lot. Dobler was widely renowned as a biter, and he admitted as much to Esquire but said it was just once. According to Dobler, Vikings player Doug Sutherland once put his fingers into Dobler's facemask: "I don't think they were there to stroke my mustahce. So I bite one finger in my life, and I don't even chew on it. The legend grew from there." Even the scariest players of his era feared him; he kicked ferocious defensive tackle Merlin Olsen in the head, and punched Mean Joe Greene in the face. Buffalo linebacker Phil Villapiano called him "a tough, rotten, nasty guy" — and Villapiano was one of his best friends. Free safety Dashon Goldson was certainly never lacking for talent. His career was actually following a trajectory fitting for a player of his ability; after being drafted by the 49ers in 2007 and seeing limited action as a rookie, his play propelled him up the depth chart, and by 2010 he was starting at his position. Unfortunately, he was also racking up fines at a rate that would eventually prompt the league to name him a repeat offender. In 2012, he took to the local press to defend himself against accusations of dirty play. The following season, he was traded to Tampa Bay, where he was forced to take to the local press to … you get the idea. When your reputation literally follows you from one coast to another, there may be a reason for said reputation. After an illegal and dangerous hit on New Orleans running back Darren Sproles in 2013, Goldson was fined a whopping $100,000, and Sproles stated flatly in the press that Goldson had deliberately tried to injure him on the play. He was fined or suspended for illegal hits to the head or neck area five times between 2012 and 2015, when the Bucs traded him to Washington — who cut him after one season. He was then signed by the Falcons, where he lasted only two months. He's been out of football since, perhaps owing to the fact that the NFL isn't keen on flagrant hits to the head these days. When your name is Incognito, you'd think the tendency to keep a low profile would be ingrained into your personality. Not so for former offensive guard Richie Incognito, who absolutely couldn't keep from drawing attention to himself with his egregiously aggressive play and his wantonly blabbing mouth. 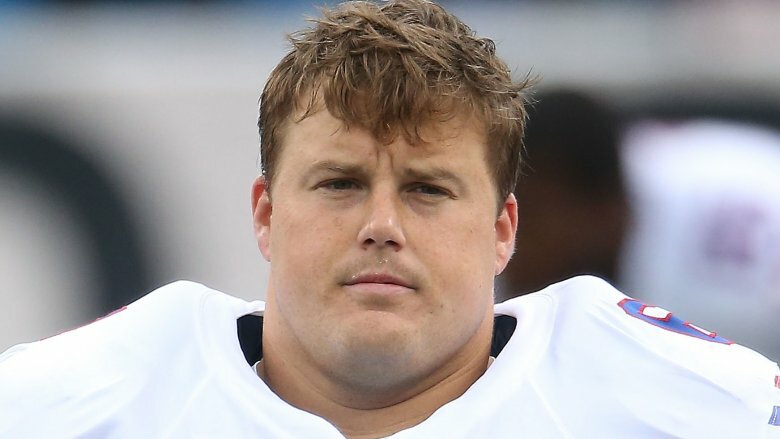 Drafted by the Rams in 2005, Incognito also played for Buffalo and Miami, where he felt the need to address his rep for being a cheap shot artist in 2013. "I'm not really concerned with what other teams think. I'm really concerned with what guys on my team think," he said. Tell that to Jonathan Martin, an offensive lineman whose two years in Miami were made a personal hell by Incognito and two others, who relentlessly bullied and harassed Martin until he left the team via trade. Incognito would later be cited as the ringleader of the bullying in a report by NFL investigator Ted Wells, who noted that once Martin went public with his experience, Incognito responded with threats, racial slurs, and sexual taunts about Martin's mother and sisters. Incognito was suspended for conduct detrimental to the team, though he maintained his innocence, saying he never engaged in such behavior. The problem with this is that he did it in college, too, pushing around a walk-on who was just trying to make the team. A real team player, that Richie Incognito. 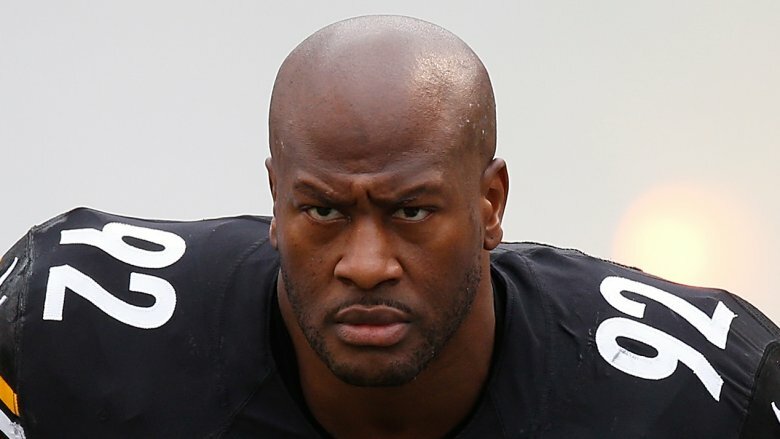 Linebacker James Harrison played professional football for 15 years with six different teams, and among Steelers fans, he's considered an all-time great. Among his peers, though, he was considered a workplace hazard. He entered the league in 2003, and by 2012, his reputation was well-cemented. In a poll of current players that year, Harrison was named the "most violent, dangerous" player in the league — with fully two-thirds of the vote. The next closest player? Legendarily terrifying Ravens linebacker Ray Lewis, with a paltry 10 percent. 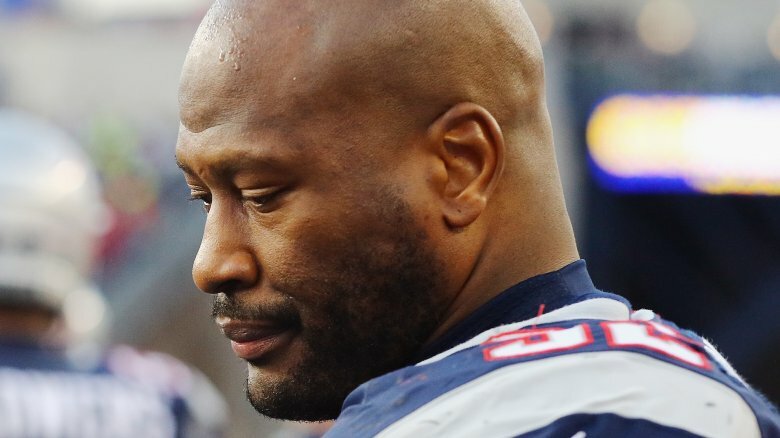 Harrison was known for being extremely fond of those helmet-to-helmet hits the NFL now hates so much; between 2010 and 2015 alone, he piled up $150,000 in fines largely for that reason. But it wasn't all about the sweet music of brain-rattling collisions for Harrison; once the league began cracking down in earnest on such concussion-inducing hits, the linebacker dutifully changed up his style of play. In a late 2012 interview with a Pittsburgh-area radio station, Harrison proudly announced that he was no longer a full-time headhunter. "I've really lowered my target area to where it's down around the knees," he said. "Situations come along where you could tackle the guy high. I don't do that anymore. I tackle the guy low." How perfectly sensible. Really, how are you supposed to tackle a dude without trying to end his career? 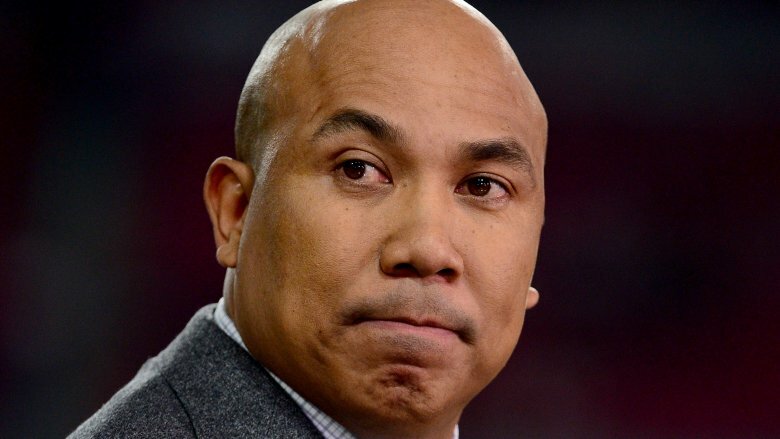 Among dozens of Steelers players who could be considered legendary, receiver Hines Ward is perhaps the most beloved in the eyes of fans. He was a four-time Pro Bowler, a two-time Super Bowl champion, MVP of Super Bowl XL, and for years was QB Ben Roethlisberger's single most reliable target. He also had a great personality, a million-dollar smile, and a wholly unmatched ability to block unwitting would-be tacklers from their blind sides. During one stretch in 2009, he was fined $15,000 in back-to-back weeks for blindside hits. Not getting the message, Ward followed this up by breaking the jaw of Bengals rookie Keith Rivers. Perhaps not coincidentally, Ward took home the "dirtiest player" title in that year's players' poll. He responded to the tag with not the slightest bit of contrition. "I'm not going to change the way I play," he said, adding with no sarcasm whatsoever, "If people think I'm dirty, I apologize to them now." 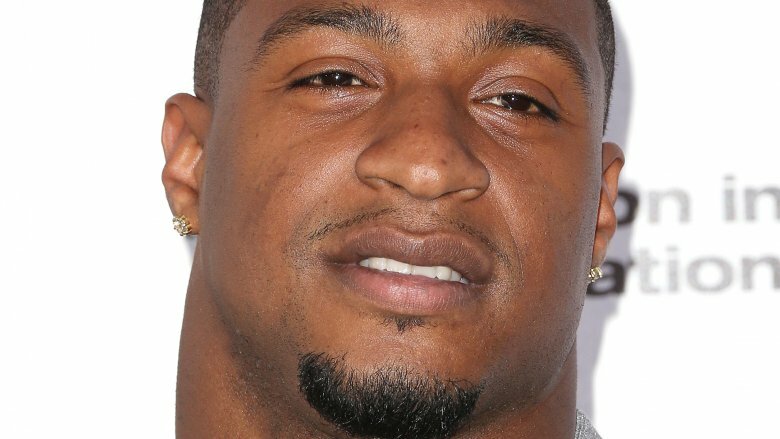 When Ward retired in 2012, Bengals safety Chris Crocker — who remembered that hit on Rivers all too well and claims Ward once punched him in the face on the field — wasn't too broken up about it. "Stuff like that, it's just not right," Crocker said, "And I'm not the only guy that thinks it." In a 2016 Players' Tribune conversation with Ward and Ravens great Ed Reed, this was confirmed: Said Reed, "I don't know anybody in the league who didn't wanna knock that smile off your face."